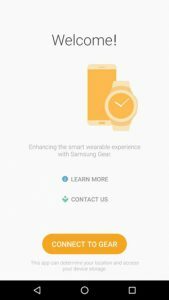 a smartphone that has less than 1.5GB of RAM for the first time, you are in for a nasty surprise; although you can find and install Galaxy Wearable application from Google Play store onto your device, it will be unable to successfully connect your smartphone and the Gear S2 / Gear S3 / Gear Sport. If you try to connect Gear S2 / Gear S3 / Gear Sport to your device manually, that is directly from phone’s bluetooth settings, the phone is able to find Gear S2 / Gear S3 / Gear Sport and even initiates the pairing process together with the “Confirm passkey xxxxxx to pair with Gear S2.” or “Confirm passkey xxxxxx to pair with Gear S3.” message. After you confirm the bluetooth pairing request, a “setting up…” text is displayed on your Gear S2 / Gear S3 / Gear Sport watch but the process doesn’t succeed. The connecting process between the smartphone and Gear S2 / Gear S3 / Gear Sport needs to be performed from within the Galaxy Wearable app in order to be successfully completed. 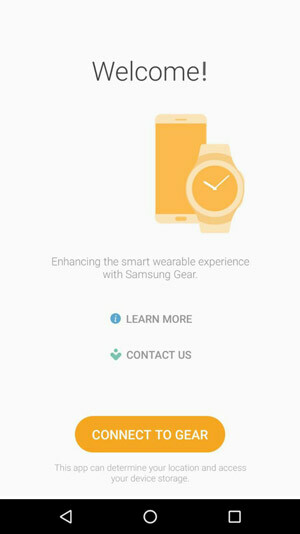 The reason why Galaxy Wearable app is unable to find and pair the Gear S2 / Gear S3 / Gear Sport with devices that have less than 1.5GB of RAM is the Galaxy Wearable app itself; the developers at Samsung enforced a minimum RAM requirement check into the app. When Galaxy Wearable app is run on the devices that have less than 1.5GB of RAM, it is only able to find and pair with Samsung accessories such as Gear Triathlon S/M, Gear IconX R/L and Gear Circle but not the Gear S2 / Gear S3 / Gear Sport. I suspect the reason for their decision is they have encountered some performance issues on some of less capable smartphones during the testing phase and decided to drop support for the mentioned devices altogether to prevent potential complaints from customers.